I can't emphasize enough the importance of readers having their own spaces. Readers discover new titles by talking with one another and they also need a space to discuss SFR (or any genre, really) without the clutter that promotion can sometimes be. And while many SFR sites have heavy author participation, that aspect doesn't invalidate their reader-centric focus. Authors being pro-reader doesn't mean they're anti-promotion. They're simply respecting and cultivating reader spaces. That said, there are promotional opportunities for authors of SFR. I'd going to highlight a few. Starting like, right now! For years, SFR didn't have a dedicated place where authors could obtain affordable ads and which also provided free SFR-specific content for readers seeking information and books in this genre. 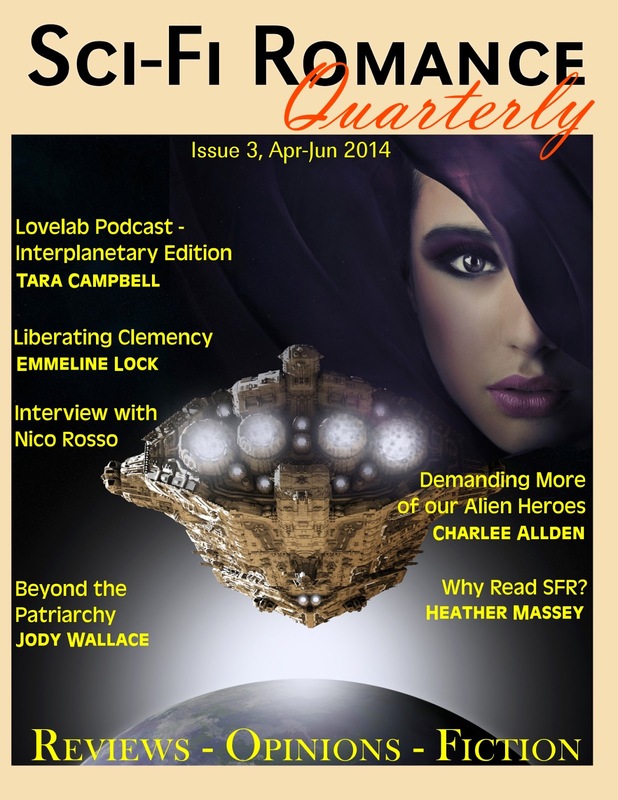 However, that changed with the Sci-Fi Romance Quarterly (of which I'm a founding member). Ads aren't inherently problematic--execution is everything. Many readers are fine with ads as long as they get access to quality content at the same time. Therefore, SFRQ delivers columns, reviews, release news, interviews, and at least one free short story per issue. * paid advertisements. Read the FAQ for more information. * Submit new release book information for a cover and blurb highlight (Details in the SFRQ FAQ. 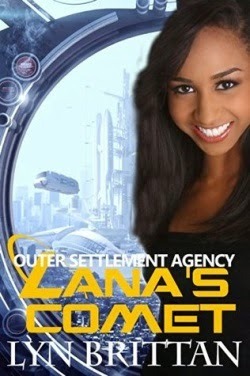 Sci-Fi Romance Quarterly has highlighted a diverse number of book releases via covers and blurbs. Stories range widely in terms of settings, characters, and heat level. The releases section so far has included books such as Jael Wye's ICE RED, Christie Meierz's THE MARANN, Cara Bristol's BREEDER, Reesa Herberth's IN DISCRETION, Christine D'Abo's GILDED HEARTS, Rachel Bach's HEAVEN'S QUEEN, and Lyn Brittan's LANA'S COMET--all at no cost to the authors. * Write a short story--SFRQ is a paid market--and submit it for consideration. * Do a free link exchange with SFRQ. Details here. Authors of SFR can apply to join the SFR Brigade, a consortium of authors dedicated to raising the visibility of SFR. Membership is free. My understanding is that authors can blog about their books on the condition that their posts contribute in a meaningful way to the community. Now in its third year, the Midsummer Blog Hop is a great way to get one's book(s) in front of readers. Authors can contribute books and/or other prizes. Click here for complete details and prize information. 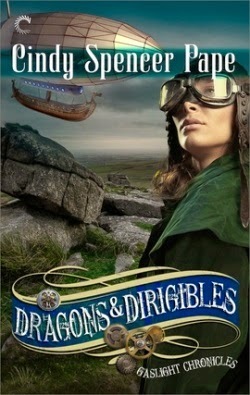 Author Pippa Jay (TETHERED) has author promo opportunities available via her blog. This is a free service. If you're an author who offers a similar type of support for fellow authors, let us know in the comments! Earlier this year, Laurie A. Green organized SFR prizes for the Brenda Novak Annual Online Auction For Diabetes Research. This was a huge undertaking and Laurie did it all without any kind of compensation. SFR Brigade authors had a chance to contribute prizes for a great cause and it was another way to get one's books on readers' radars. While Veronica Scott's Sci-Fi Encounters column (USA Today Happy Ever After blog) is a signal boost rather than a promotion venue, authors can help spread the word about her widely-read column. Consider paying it forward--you never know where such efforts could lead. 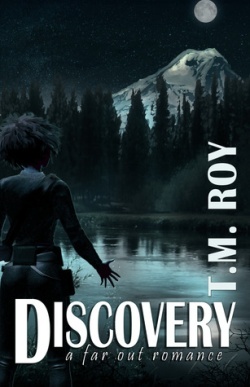 Also, each month here at The Galaxy Express I highlight a number of new SFR releases by featuring covers and blurbs so readers can learn about them. Here's a link to the 2014 new release roundup. See my sidebar list for past years. It's a work in progress and I update the list on a regular basis. I'm a one woman operation so it's not comprehensive, but authors are welcome to send me news of their new/forthcoming releases so I can include them. FWIW, Amazon's new category for science fiction romance has helped me immensely in discovering new titles. Promotion opportunities are out there. Have faith and help venues like the Sci-Fi Romance Quarterly and others like it to grow by plugging into existing opportunities. Or start a new venue yourself! Different readers like different types of SFR, and not only is that okay, it's nice when a particular site is tailored to their interests. The more, the merrier. Here's another promotion opportunity: if you're part of an SFR group/site that promotes the genre, tell us about it in the comments!